Gossip can be devastating in the workplace. Whether you're in management or are simply a concerned employee, you may be worried about how text messaging, e-mail and social media have added to talking as effective ways of passing along gossip in the workplace. Games can be a fun way to help employees and co-workers see how destructive gossip is in a way that doesn't make them feel immediately defensive. If you want to convince adults to play a game, you'll need to establish why. You can share what workplace gossip costs in terms of hurt feelings, loss in productivity, decreased morale and making group work more difficult. 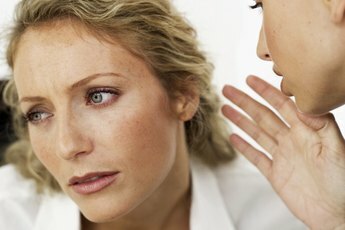 You should further explain that research reveals that habitual gossipers are not liked or respected in the workplace. This is an old favorite you may have played in school, but you can modify it to fit your workplace. 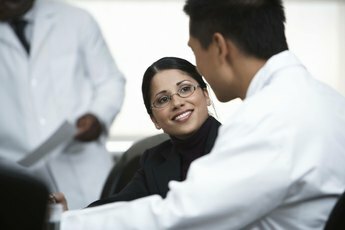 Whisper a sentence in one employee's ear and have them pass along this sentence, each employee whispering it to another, until everyone has been a carrier. To modify the game for the workplace, have employees share the secret while they take customer orders, wash cars, complete spreadsheets or engage in other common workplace tasks. You can do the same type of game using actual phones: ask people to retype a text and pass it along to the next person, making sure they leave autocorrect on. The point is to show how the message changes -- and becomes inaccurate -- after everyone tries to repeat it. To start this game, gather everyone around a tube of toothpaste. Use a sample size to make cleanup easier. Squeeze the toothpaste onto a sheet of waxed paper. Ask different employees to take a turn at putting the toothpaste back into the tube. When no one is able to successfully complete the task, explain how this is like gossip; once the words are out, they can't be retracted. Using snopes or another urban legend confirmation website, prepare a list of questions about common Internet rumors such as where they came from, whether they are true or false, or how they developed. 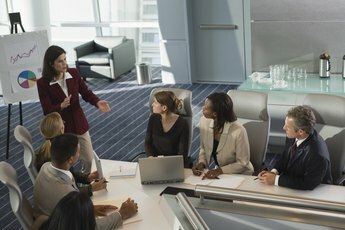 Divide employees into two teams and have them compete in a baseball type game, advancing to a base whenever they answer a question correctly, when they miss three questions the other team is at bat with the questions. You can finish with a discussion of how Internet rumors got started and how destructive they have been. KS Dunham began writing professionally in 1995. She authored four health-related books: "How to Survive and Love Nursing School," "How to Survive and Love Your Life as a Nurse," "The Boy's Body Book" and "The Girl's Body Book." Dunham has a Bachelor of Science in nursing from Drexel University. What Is the Importance of a Code of Ethics in Workplace Harassment?